Petite sterling silver Tree of life design push-back earrings. 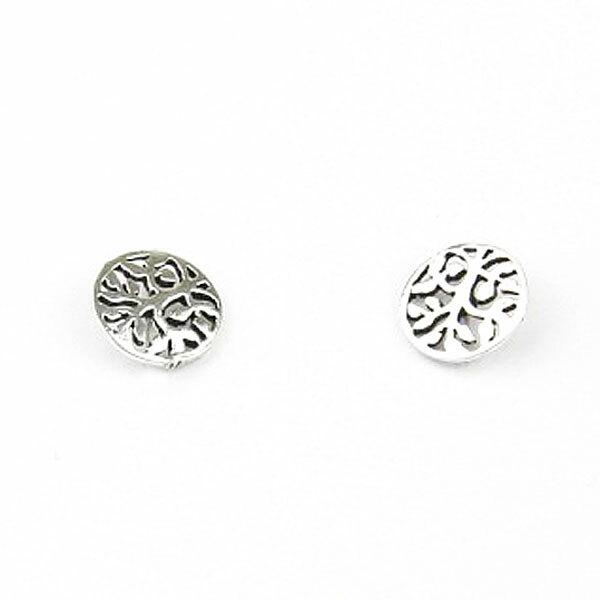 These small sterling silver earrings are circular in outline and contain an open tree design. Material of earrings: sterling silver.